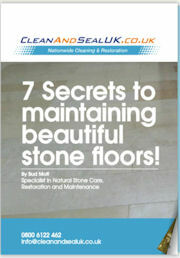 The commercial sandstone floor cleaning Bristol experts that guarantee results. Any Sandstone surface looks great, but it can become dirty very easy, CleanAndSealUK are the commercial sandstone floor cleaning Bristol experts for you. Commercial sandstone floor cleaning Bristol requires knowledge of the type of sandstone that needs treating. Our commercial sandstone cleaning Bristol service helps you with your commercial sandstone floor cleaning requirements. So give us a call to find out exactly what we can do for you. Unbelievable sandstone floor restoration Bristol. Have you got a commercial sandstone floor restoration Bristol project that requires the touch of a professional, our commercial sandstone floor restoration service will make your sandstone floor the centre piece of any commercial area. If your sandstone floor looks like it may never look great again, let us know, we can produce miracles with your commercial sandstone floor, feel free to contact us to find out more about sandstone restoration in Bristol, Bath and the rest of the Southwest. Are you looking to have your sandstone sealed making sure it is protected for the future? If so then you have come to the right place. We can apply Indian sandstone sealers to sandstone walls and also sandstone floors plus any other sandstone surface that requires sandstone sealant, we only use the best sandstone sealer products for all your sandstone surfaces.